ALTAMAR Currently she is available as a project. ALTAMAR is hull number 2 of the legendary California 32 series, a one design from the drafting board of Nicholas Potter (nicknamed “Herreshoff west”). Nick Potter was born in Providence, RI and grew up with L. Francis and Sidney deWolf Herreshoff in the Herreshoff Yard in Bristol. Later he worked for Burgess, Swasey and Paine under W. Starling Burgess. He moved out west after a stint in the merchant marine in the late 20’s and began working with Hugh Angleman in Wilmington Boat Works, Wilmington, CA. He spent a few years in the early 30’s on the east coast (during which he designed the B-class Frostbite) and then returned to California. These various influences all contributed to Potter’s ability to design beautiful, sea kindly and very fast boats. Hull number 1 was launched at the Fellows and Stewart Yard (who built the five pre-WWII sisters), as CHOLITA; ALTAMAR was launched in 1937 for Donald Douglas of Douglas Aircraft. TEMPEST, ESCAPADE, and AMORITA; ATORRANTE and ANDALE were built after the War, and PEGASO – a modified California 32 was built in 1966 by Cheoy Lee in Hong Kong. The principal dimensions are 46’ x 32’ x 20’ 9” x 6’ 9” with 10,500 pounds of lead. The back bone is teak, the frames and deck beams white oak, planking specified as Oregon Pine (Douglas Fir) with tobin bronze screws. Keel bolts installed were ¾” Tobin Bronze. 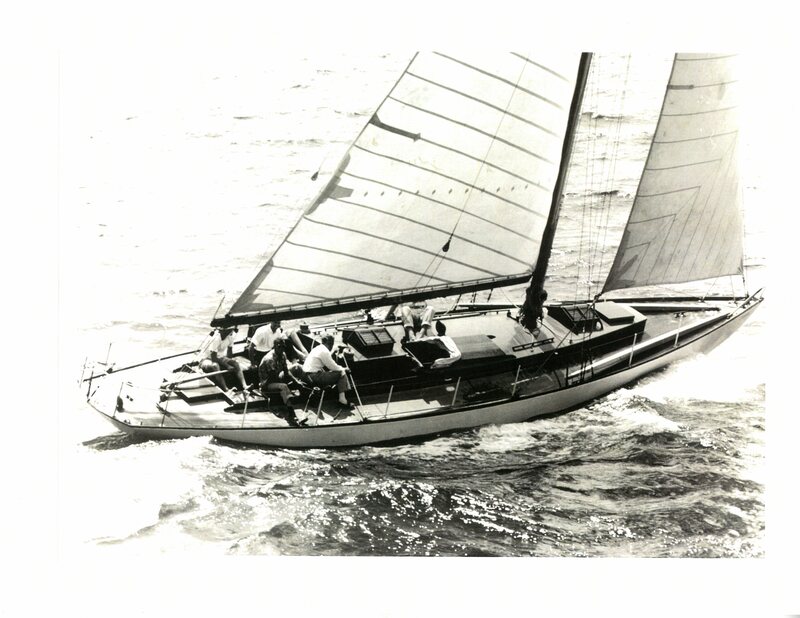 ALTAMAR (along with her sisters) had a very distinguished and successful racing career; now two of her sisters – after rebuilding -- are much admired members of the classic boat regatta and race circuit in Europe while several remain on the west coast. ALTAMAR came to Traditional Boats after Doug Peterson and Doug Jones acquired her to save her from the chain saw. While a substantial project, she will, when rebuilt, be a significant piece of maritime history saved for posterity. Currently she is available as a project. Although the scope of the work is significant (new floors and keel bolts, frames, some new planking, new transom, deck and cabin house, new systems, accommodation, and rig, rigging and sails), she will be a comfortable, and very fast cruiser, as well as very competitive on the race course.